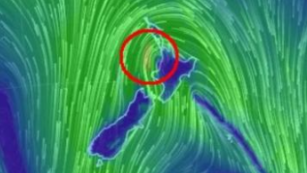 Tupou @ Pt England School: A Terrifying Storm Hits Auckland!!! Yesterday Auckland got hit by a very big storm. The storm hit around eight o'clock at night. This morning power lines and trees were broken down and roads were blocked off. The storm was very powerful and it made peoples power go out. When it hit I was very scared and I heard unusal sounds.